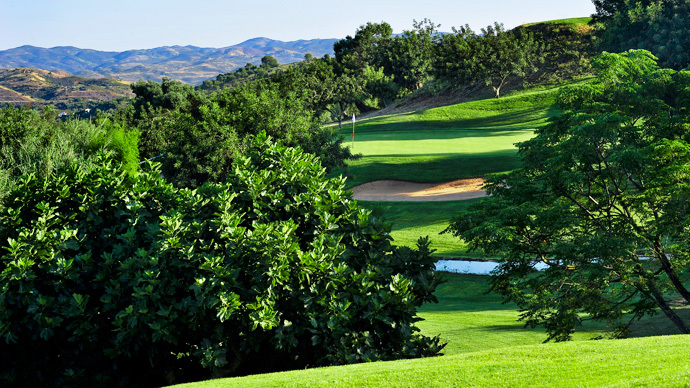 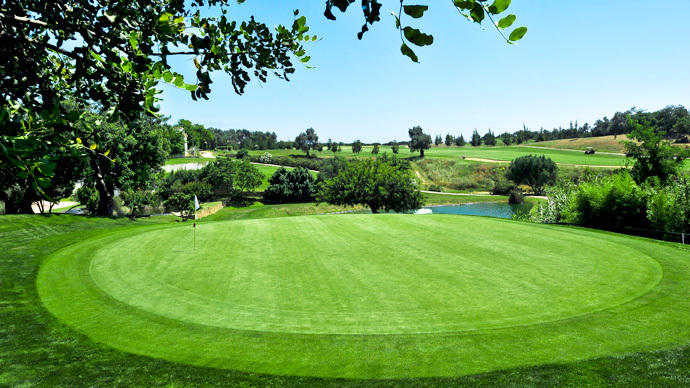 Benamor Golf Course, is a par 71, 5.497 metres from the white tees. 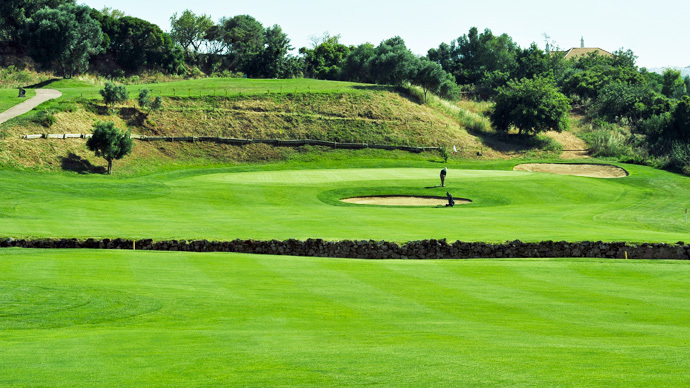 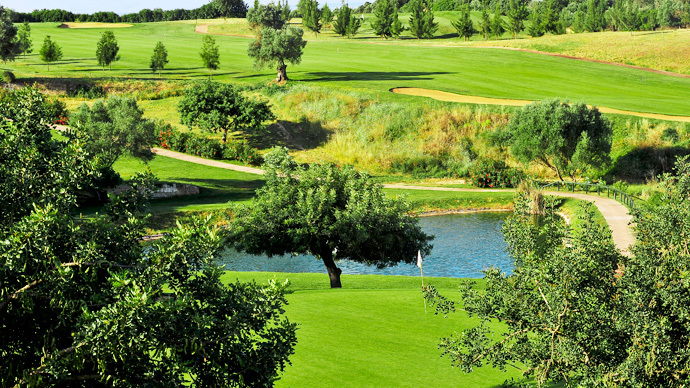 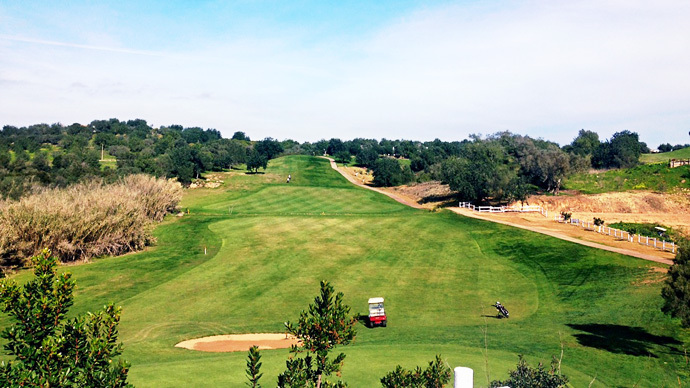 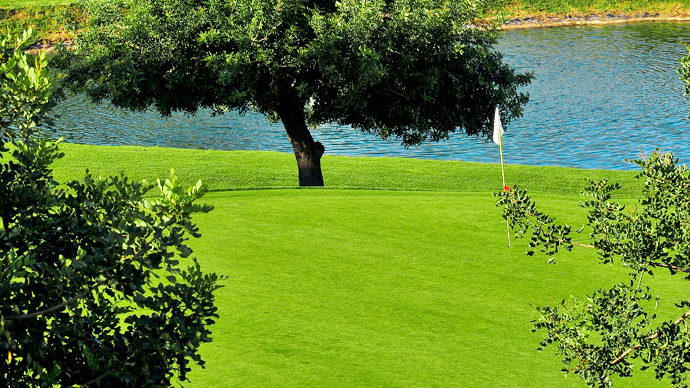 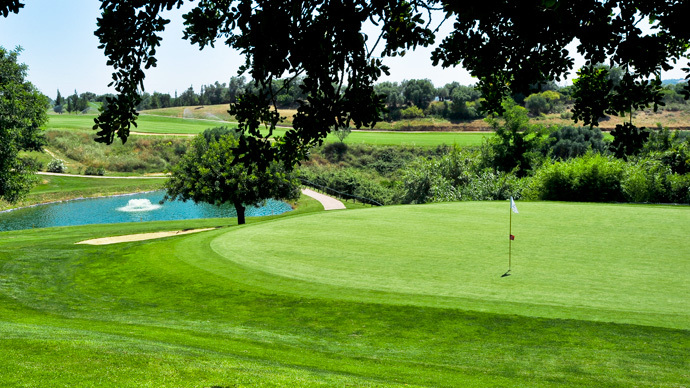 Benamor golf course is located in the eastern area of the Algarve, near the quaint town of Tavira. 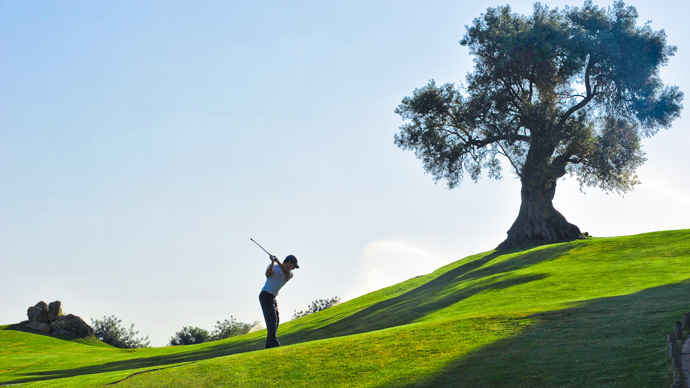 Sir Henry Cotton, who designed the golf course, was inspired by the property's old church and the stunning location. 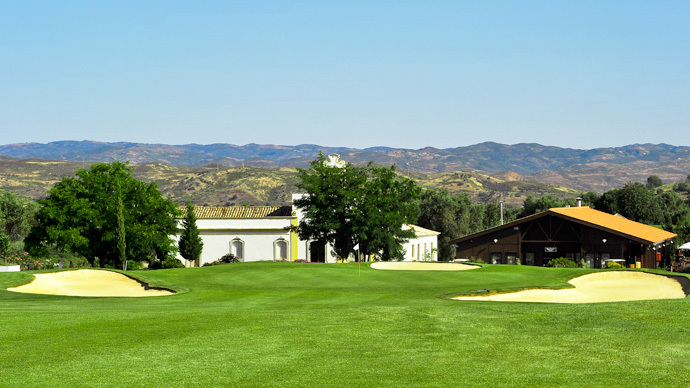 The church is now completely refurbished and is a beautiful landmark on this golf course, right behind the 18th green. 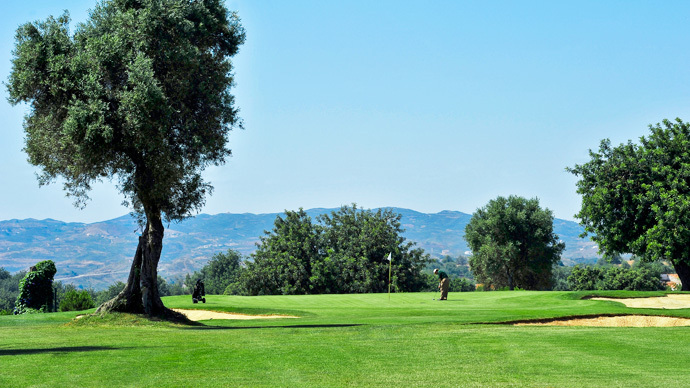 Benamor golf course is normallyl in great condition, and provides an extremely pleasant game to both experienced golfers and beginners. 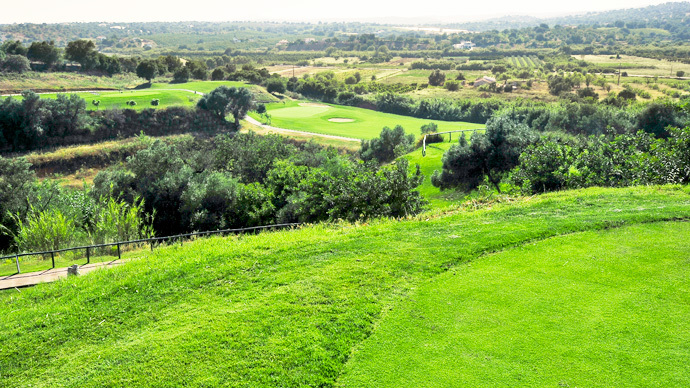 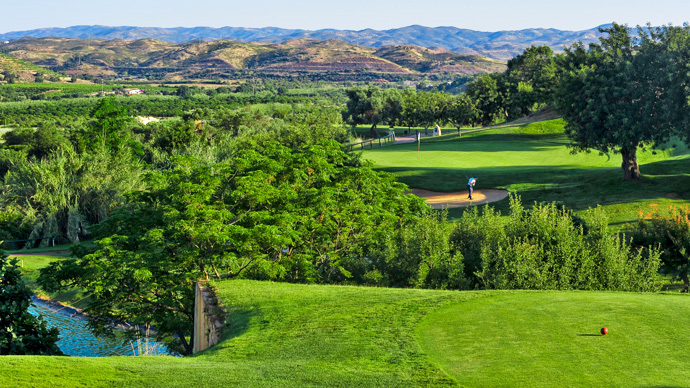 It presents views over the mountains and the sea and features the region's most common flora such as the carob, the olive-tree, the fig-tree and the almond-tree, which all beautifully complement the golf course. 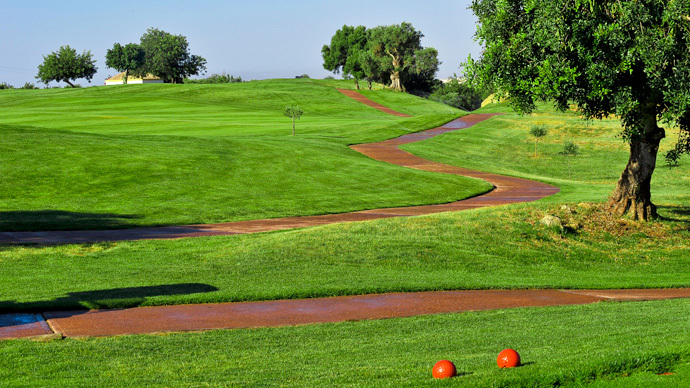 These natural obstacles, along with strategically placed bunkers and water hazards add to the excitement of the game. 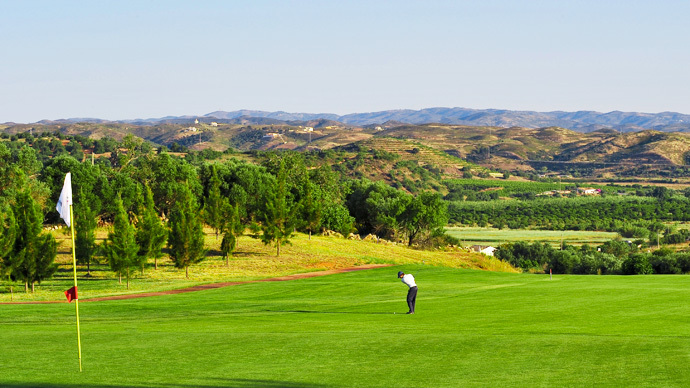 It's an undulating, sometimes pretty hilly golf course, with Bermuda Sahara fairways, which provide good lies for wood and iron shots. 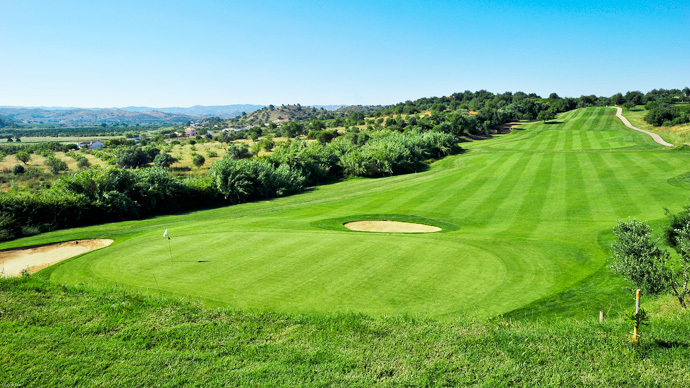 It lends you with a soft start, with a relatively short first four holes, and then it turns into quite the challenge, dragging every bit of skill and expertise out of you. 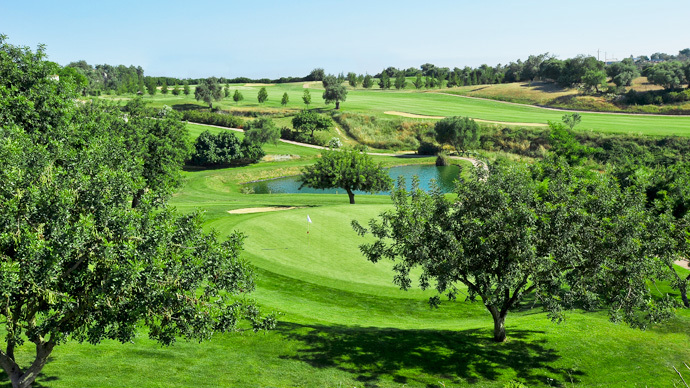 Facilities on Benamor Golf course include a Driving Range, a small Putting Green, near the 1st hole and a second large Putting area down below. 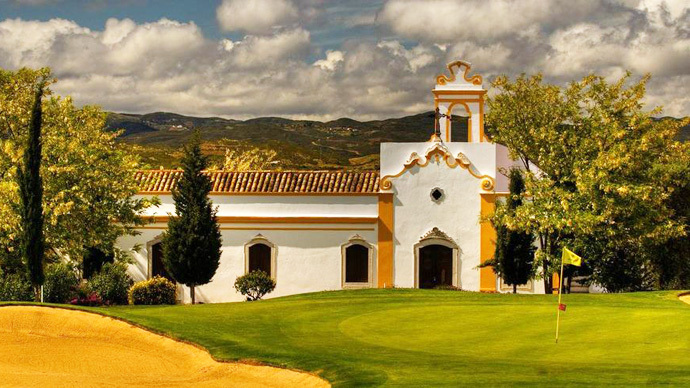 A nice feature in Benamor golf resort is the interesting marriage between the sport and culture, achieved by the artwork display in the entrance and the Clubhouse. 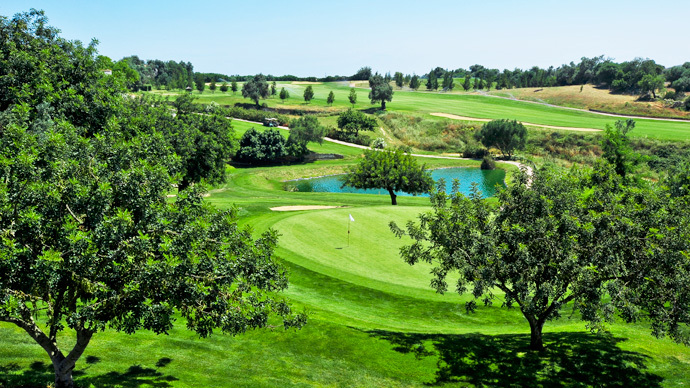 Adding to this, the golf course also promotes creative gastronomical events, which make a round of golf at Benamor an even more worthwhile experience. 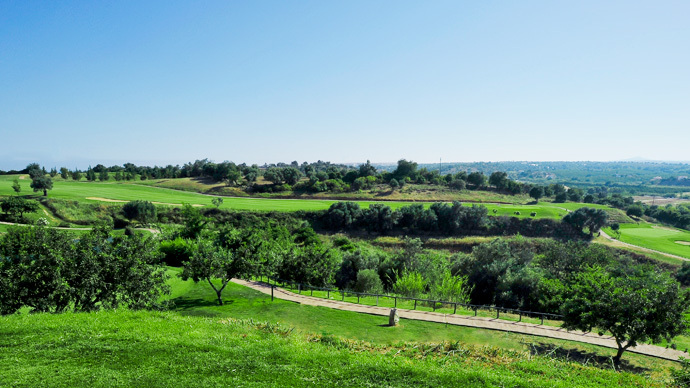 On a final note, if you're so inclined, be sure to end your day with a visit to Tavira or even Olhão, both right on the seafront and taking full advantage of that geography with wonderful seafood spots with the Atlantic for a backdrop. 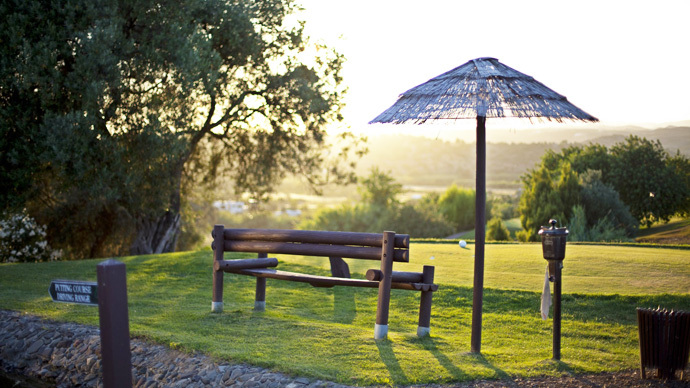 We suggest a trip to Cacela Velha to try some of the best oysters in the world - the well-known and delicious Portuguese Oyster - and while you're at it, don't forget to look over the wall at the breathtaking scenery. 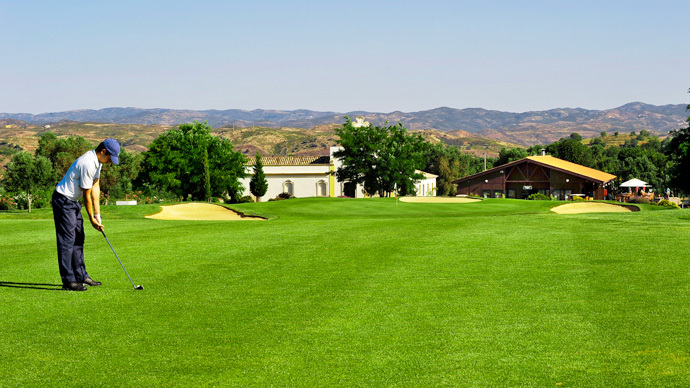 Proprietor: Benamor Actividades Turísticas, S.A. 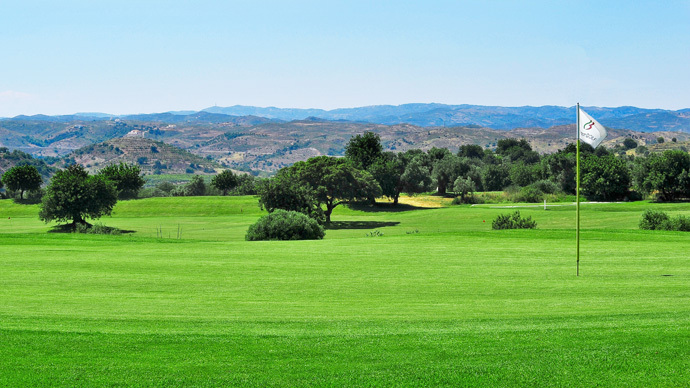 Via Infante (A22) - Take Tavira Exit-15 and at first roundabout take the road south to Tavira. 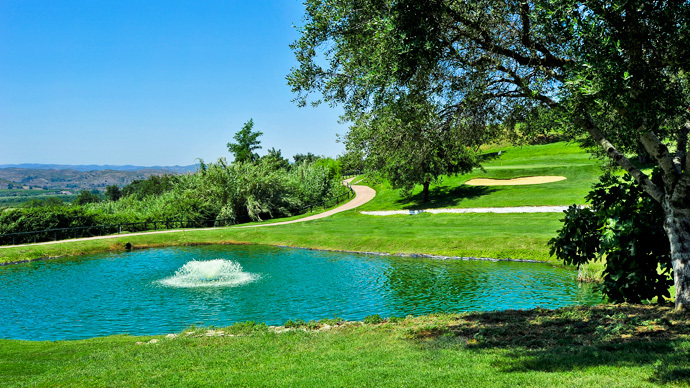 At the next roundabout which is on the Road EN 125 bear to the left to drive east in the direction of Vila Real de Santo António and Spain. 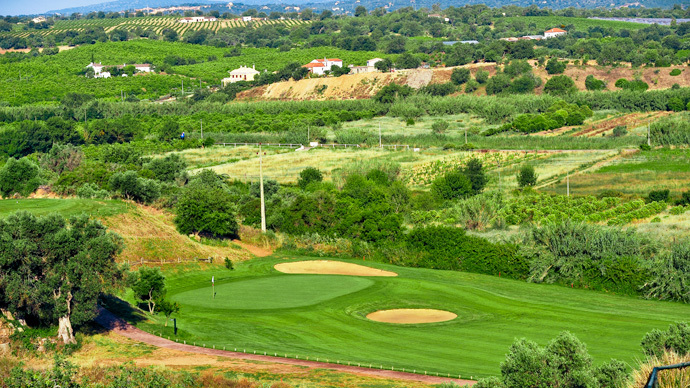 The course is about 5 kms east of Tavira on the left side of this road and can be easily seen prior to turning left into the course. 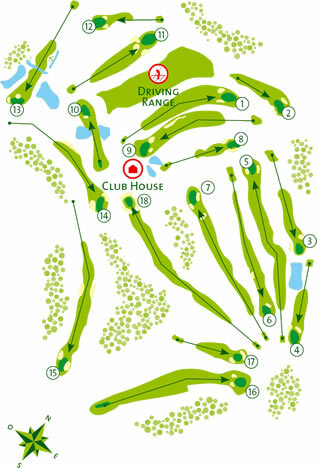 Powered by © Tee Times Golf Ltd.